Wearable over the clothing counter-balance device designed to aid in the prevention of muscle strain in the neck, shoulders and back. 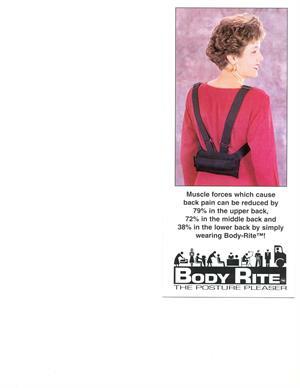 The answer to Back, Shoulder and Neck Pain! that require one to work for prolonged period of time with the hands extended in front of the body. unit is made iwth a one pound added weight that easily comes off should you only need to use the two pound weights on the pack. ~ All Parts Manufactured and Assembled in U.S.A.